Philadelphia, Penn. 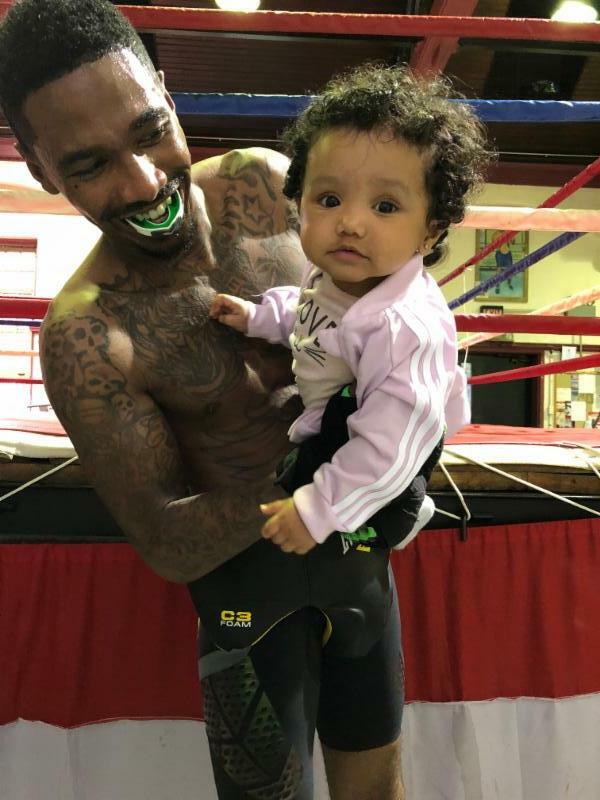 (August 7, 2018)–The old saying is “Like Father, Like Son.” That will be evident this Friday night at SugarHouse Casino as Tyrone Crawley Jr. battles Ricardo Garcia (14-3, 9 KOs) for the WBF Junior Welterweight championship. The eight-round bout will headline a 10-bout card that is promoted by King’s Promotions. Crawley (7-1) of Philadelphia has had an excellent camp as he prepares for Garcia. “Training has been good. I have no injuries, and I could not have had a better camp. I was on weight about six days before the fight,” said Crawley. Crawley has seen some things in Garcia that can exploit on fight night, which gives him the confidence to come home with the victory. Crawley will be vying for his 1st title in his 9th fight, which is the same number of fights that his father, former world title challenger, Tyrone “Butterfly” Crawley had his 1st title bout. This will be Crawley’s 1st bout since his only professional loss that occurred on March 2nd when he had to retire due to a wrist injury in his bout with Anthony Mercado at SugarHouse Casino. Crawley is inspired by longtime friend, Tevin Farmer, who captured the IBF Junior Lightweight title last week in Australia. In the eight-round co-feature Christopher Brooker (13-5, 5 KOs) of Philadelphia takes on Eric Moon (7-1, 6 KOs) of Marietta, GA in a super middleweight bout. Poindexter Knight (4-0, 2 KOs) of Philadelphia battles Greg Averil Young (4-0, 1 KO) of Hoover, AL in a welterweight clash. In a battle of undefeated super featherweights, Joshafat Ortiz (4-0, 2 KOs) of Reading, PA fights Javier Oquendo (3-0, 1 KO) of Philadelphia. Rasheed Johnson (3-2, 1 KO) of Philadelphia takes on Tony Morris (4-1-1, 2 KOs) of Jacksonville, FL in a welterweight bout. Paul Kroll of Philadelphia makes his highly anticipated pro debut against DeAngelo Alcorn (0-1) of Searcy, OK in a welterweight bout. Rasheen Brown of Philadelphia makes his pro debut against Sergio Aguilar (2-9, 2 KOs) of Homestead, CA in a super bantamweight affair. James Martin (1-0) of Philadelphia battles pro debuting Jonathan Burrs of Hagerstown, Maryland in a super welterweight bout. Nicoy Clarke (1-1) of Jersey City, NJ squares off with pro debuting Jose Nunez of Reading, PA in a heavyweight bout. Yueri Andujar of Santo Domingo, DR will make his pro debut against Bryann Perez (2-10-1, 1 KO) of Carolina, PR in a featherweight bout. SugarHouse, which opened in September 2010 as Philly’s casino, features 1,891 slots, 103 table games, a 28-table poker room, fun and unique dining options, riverfront views and free on-site parking. The casino employs approximately 1,700 people, and for six consecutive years has been voted a “Best Place to Work” by the Philadelphia Business Journal and for five straight years a “Top Workplace” by Philly.com. For more information, visit www.sugarhousecasino.com.